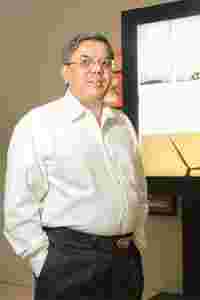 Wind power: Suzlon chairman and managing director Tulsi Tanti says his firm sees great opportunities in offshore wind technologies. Let’s start with the Hansen IPO. What would be the size and the time frame for the IPO? I can only tell you that we are listing on the London Stock Exchange. Beyond this, I cannot comment. I am constrained by the legal and statutory compliance issues. You have been saying that with Hansen your relationship is at arm’s length. Can you define arm’s length? I am the only common factor between Suzlon and Hansen. I sit on both boards. Otherwise, Hansen is run by a completely separate team and Suzlon has no say in that. We are like a private equity investor in Hansen. There is a Chinese wall between management and business decisions of both companies. I am a shareholder. Whatever transactions the two companies do are purely on a supplier-customer basis. How much is Hansen contracted to supply to Suzlon? As of today, almost nothing. From January, when Hansen’s new capacity comes in, a part of that will be supplied to Suzlon. I can’t say how much as the final orders have not been placed. What is Suzlon’s order book at the moment? And where are the orders from? Suzlon’s order book position is $4.10 billion (about Rs16,224 crore). Most of the orders are from the US, Australia, Brazil, China and India. In the current fiscal, 60% of the revenue will come from international orders, 40% from India. Next year, it will be 70-30% in favour of international orders. By 2010-2011, we hope to get 80% of our revenues from international orders. Our growth is coming from increasing the geographical spread of our business. This doesn’t mean that the Indian side of the business is not growing. We expect it to continue growing by 25% each year but growth abroad will outstrip growth in India. You have been talking about growing geographically. Are you planning further acquisitions or are you looking at organic growth? We are looking at different possibilities based on our five-year growth plan. We are not looking for any turbine companies. We are looking at future technologies. We are looking at niche R&D players. What kind of technologies are you looking at? We see great opportunities in offshore wind technologies. In the next five years, we see a potential for the offshore wind business at 5,000MW. We are putting up a manufacturing facility in Germany. We currently have 200MW plant capacity. Now we are putting up a port-based facility at Bremerhaven in Germany. That will be 500MW in the first phase and can be expanded to 1,000MW. Currently, the largest offshore turbines are 5MW. We will be unveiling a new 6MW turbine in April 2008. Are you looking at providing end-to-end wind power solutions in Europe, similar to the Indian model? In offshore, we will provide end-to-end solutions. How much are you investing in the offshore business? €50-80 million (about Rs295-472 crore). How much will you be spending on research and development over the next five years and what will be focus for R&D? Our minimum budget for R&D is $1 billion in five years. Our main focus will be making offshore technologies more competitive. Second, we want to reduce the cost per kilowatt-hour (kWh) by 10% in five years. We will also focus on reducing the weight and size of machines while increasing the speeds. The research will be carried out at our Hamburg excellence centre. What are the forthcoming milestones on the Repower acquisition? In June 2008, we have to pay Areva SA for the 30% of the company that they own. We will be making a payment based on the market price of the share at that time. This is not a fixed payment. We have to pay the Martifer Group €270 million for their 25% stake in June 2009. How are you planning to finance these payments? We raised our borrowing limits last quarter from Rs5,000 crore to Rs7,000 crore. That was mainly for the acquisitions. We have also finished raising Rs2,000 crore in foreign currency convertible bonds (FCCB). These mature in five years. After the conversions, what will be the equity dilution? What is your current debt-equity ratio? Post-conversion, the dilution would be around 4%. In September, it was close to 1.61 times equity and by March we expect this to drop to 1.25-1.3 times. This includes the equity infusion from the Hansen issue. Once the FCCBs convert to equity, the debt will drop to below 1. Despite the geographical spread of your business, the majority of the manufacturing and sourcing happens in India. Is that likely to change in the future? That is not strictly true. We source a lot of components from China, Europe, US and India. These will continue to be our sourcing centres in future too. In China, we are expanding the capacity to 1,200MW from 600MW next year.